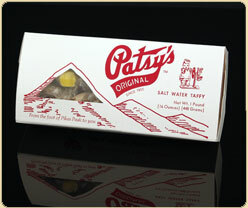 A pound of Patsy’s handcrafted Salt Water Taffy in our Boardwalk Box. 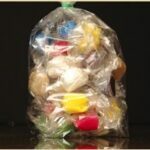 Patsy’s handcrafted Salt Water Taffy is an old-time favorite. Sea, sand, ocean breezes and the boardwalk. Summer memories make their way into your thoughts every time you taste our smooth and creamy taffy. © 2018 Patsy's Candies, All Rights Reserved.